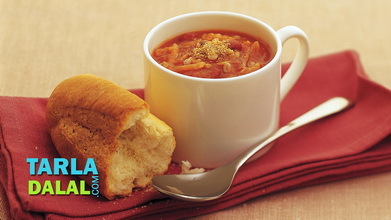 Creamy but not sinful, the Healthy Tomato Soup is a perfect low-cal option for those who love creamy tomato soup. 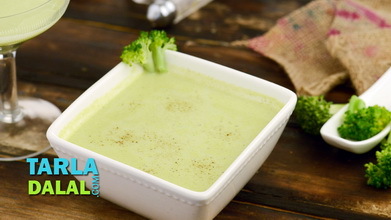 Here, the creamy texture is attained using moong dal and low-fat milk. 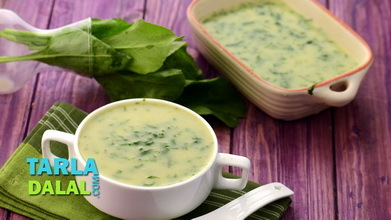 With just 1 tsp of low-fat butter for six servings, this recipe is perfect for weight watchers. 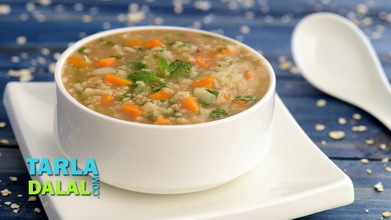 Despite being ‘slim’, it is loaded with nutrients, especially vitamin A from the tomatoes and protein from the dal. 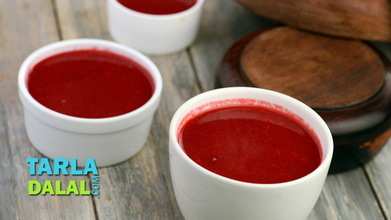 To make healthy indian tomato soup, combine 4 cups of water along with tomatoes and moong dal in a deep non-stick kadhai and cook on a medium flame for 8 to 10 minutes or till the tomatoes are soft, while stirring occasionally. Blend in a mixer to a smooth mixture. Do not strain and keep aside. Heat the olive oil in a deep non-stick kadhai, add the onions and sauté on a medium flame for 1-2 minutes or till they turn light brown in colour. Add the tomato mixture, salt, pepper and mix well. 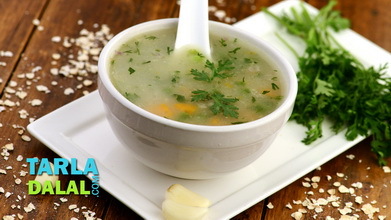 Bring to a boil, while stirring occasionally and simmer for 5 minutes. 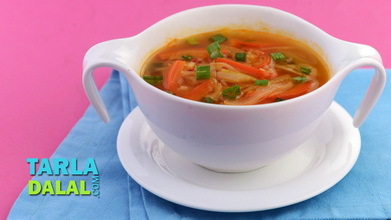 Serve the healthy indian tomato soup hot.